Item # 278742 Stash Points: 6,495 (?) This is the number of points you get in The Zumiez Stash for purchasing this item. Stash points are redeemable for exclusive rewards only available to Zumiez Stash members. To redeem your points check out the rewards catalog on thestash.zumiez.com. 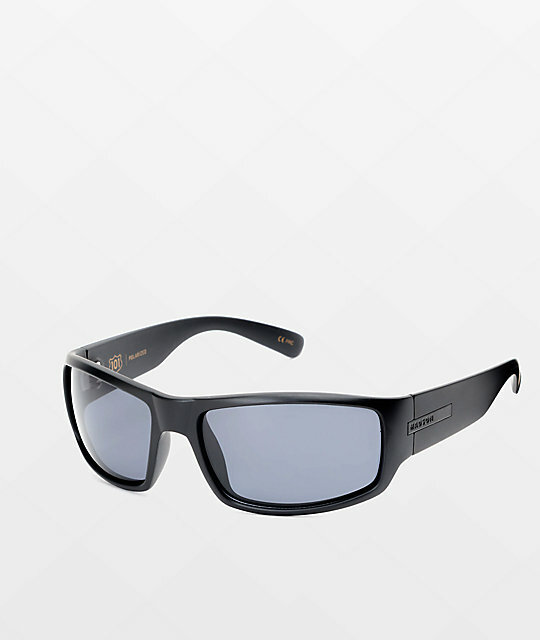 Get a subtle and high quality style with the 101 matte black sunglasses from Madson of America. The injection molded polycarbonate frames offer durability and are built for comfort while the polarized lenses reduce glare and protect from the sun's harmful rays. Finish the black on black style with the black metal Madson brand details on the sides. 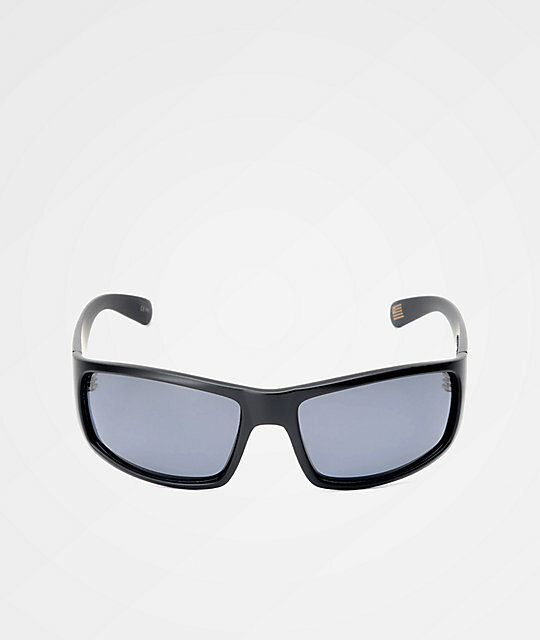 101 matte black sunglasses with grey polarized lenses from Madson of America. Die cast black metal inlay Madson logos on frame.